Knowing how to read your statement can help you understand your credit card bill better. It’s important to know that your Visa® credit card has a “billing cycle,” which is the amount of time between bills. Our credit cards cycle from the 10th of each month to the 10th of the following month. Your due date is at least 23 days after the close of each billing cycle. That means we won’t charge you any interest on purchases or balance transfers if you pay your entire balance by the due date each month, called a grace period. This does not apply to cash advances. There is no grace period for cash advances, and interest is charged beginning on the day of the advance. You can learn more about this in the Payment Information section. The Summary of Account Activity section shows you an overview of your credit card account. You’ll see your previous statement balance, the total amounts of any new purchases, total amount of new payments, and totals of any fees charged. You can also see the statement date to know which bill you’re looking at. The overview also includes your credit limit and total credit available to use. 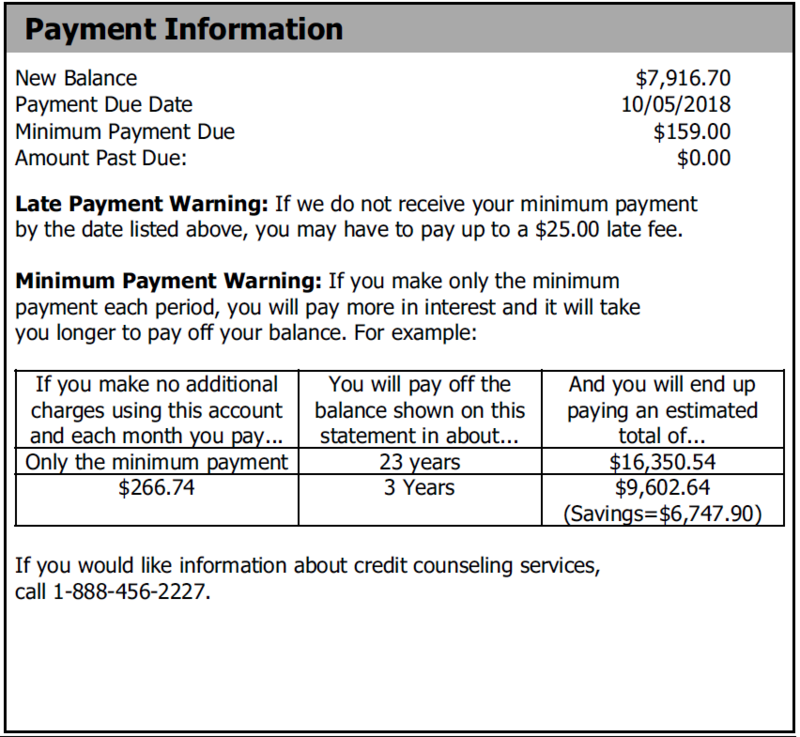 The available credit reflects what’s available when the statement was printed, so it won’t include any purchases or payments made after the statement date. This section shows the total new balance on your credit card. If you pay the entire new balance within the grace period, you’ll avoid paying any interest on purchases. This applies to purchases made using your card, and balance transfers. This does not apply to cash advances. There is no grace period for cash advances, and interest is charged beginning on the day of the advance. See the Account Summary section below for more information. You can find your payment due date and the minimum required payment needed for this month. If you still owe a payment from a previous month, there will be an amount listed next to amount past due. The boxed information shows an estimation of how long it will take you to pay off the current balance if you make the minimum payments. You can clearly see the benefit of making more than the minimum payment on a larger balance! The Account Summary section will allow you to see clearly how much you are paying in interest, and from what kind of transaction. These three categories keep track of the different transactions and their varying interest rates: for example, if you make a cash advance on your credit card, interest begins to accrue immediately. Purchases and balance transfers don’t accrue interest if they are paid off in full with each monthly billing cycle. All cash advances will fall into the Cash Advance Plan. All balance transfers will fall into the Balance Transfer Plan. 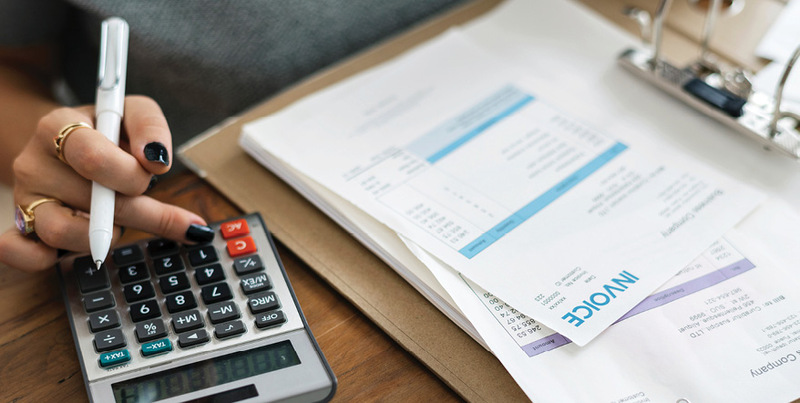 The Plan ID references the three transaction categories; you can use this ID in the Transaction Summary section to identify whether it’s a purchase, cash advance, or balance transfer transaction. Your Purchase Plan may have two lines. One indicates regular purchases made on the card. The other shows an amount paid for our optional Northwest Protect Payment Protection. That amount varies based on the card balance carried, as well as the type of protection chosen. Learn more about Northwest Protect Payment Protection. If you'd like to pay your credit card online, follow these steps. If you want to mail in your payment, this stub gives you everything you need. When you pay your credit card bill, payments are applied first to interest and then to your principle balance. Here you will find information regarding important information on your credit card account. If you have a Northwest Rewards Visa, you can see your current rewards points balance here. The Transaction Summary section shows you all transactions that have taken place on your credit card account during the billing cycle, including payments and purchases. You can also see credits posted back to the card if you’ve made any refunds/returns. Every line has a Plan ID that will reference the type of transaction it is—you can use the Account Summary section to reference which Plan ID goes with which type of transaction. Below the list of transactions, you’ll see any fees that have posted to the card. Common items listed here will be charges for Northwest Protect Payment Protection, new cash advance fees, or late payment fees. A total of all fees charged for the billing cycle is listed underneath. Finally, you’ll see any interest that has posted to the card during the billing cycle. 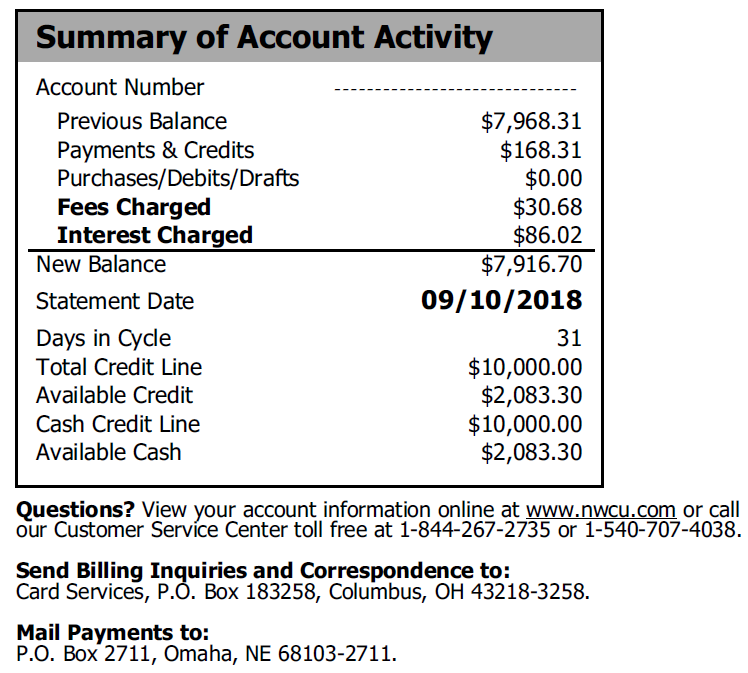 A total of all interest charged for the billing cycle is listed underneath. Here you can get a quick look at the total of all fees and interest you’ve paid for the calendar year. If you have any questions about your Visa credit card statement you can contact us at our Visa Customer Service Center by phone toll free at (844) 267-2735, or (540) 707-4038.